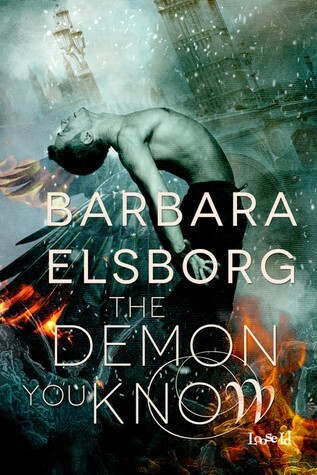 Very enjoyable romp through the lives of an angel, a demon, and Hell itself. Roman is a angel who serves as judge, jury and executioner for any paranormal creature who causes trouble. When a group of demons come up to the Earth’s surface, Roman is tasked with capturing the demons and returning them to Hell before they cause trouble for humans. Ezra is a rare demon who was raised in Hell. Having never been to the surface before, he jumps at the chance to finally see what it’s all about. These two certainly shouldn’t be attracted to each other, but there’s more going on than meets the eye. Roman is not very happy with his life. He’s living with past regrets and not thrilled with his days dealing with the bad parts of society. Deep down, he’s a good guy and spends his time trying to do the right thing. Ezra has no recollection of ever being anywhere outside of Hell, and no memory of ever doing anything wrong in his life that would have caused him to be sent there. He’s an extremely nice guy with an optimistic view on life. Unfortunately, he doesn’t have any friends and is picked on constantly. He spends his days in Hell fixing clocks and time pieces. When he gets the chance to go to the surface, he makes the most of it. If you had any doubt Ezra was good to the bone while he was in Hell, it’s even more obvious once he gets to Earth and goes out of his way to save and help other people. Ezra and Roman are very well developed characters, and I felt like I really got to know them before they connected about halfway into the story. Roman’s negative vibe was a bit too much, and I enjoyed the story more when I wasn’t in his head. The romance was front and center of the story, and it was believable that these two should be together. I really enjoyed the suspenseful plot with little surprises around every corner. The world this takes place in was interesting, and there was plenty of action. I also read Bloodline, the story that precedes this one. It’s not necessary to read them in order, but I loved Bloodline and highly recommend it. This story wasn’t as violent which I was happy about. A very enjoyable paranormal tale with a variety of creatures, including demons, angels and faeries, where love doesn’t always follow the rules. Ezra is a timekeeper in Hell, responsible for building and maintaining the clocks that tick away eternal torment. He’s never believed he deserves to be in Hell, and when the reason he’s there is revealed, he’s horrified…yet filled with hope. But is this just another form of torture? When Ezra’s given a chance to go to the surface, he’s determined to uncover the truth, but his fellow demons seem just as determined he won’t survive the journey. Roman doesn’t understand why an angel who failed his training the first time round has been given the job of policing paranormals in the UK’s capital city. He’s consumed by unhappiness. He might not be in Hell, but sometimes it damn well feels like it. When Roman meets Ezra his failings come back to haunt him. Ezra makes him want to break the rules, but an angel protecting a demon? Discovery would bring an eternity of suffering, and with a boss none other than the archangel Michael, it’ll take more than a miracle for the lovers to stand together. sounds an interesting read. I’m always happy to find books, PNR books mostly.. that actually has a relationship buildup and isn’t about instant whatever love it feels like “cheating” to me.. I don’t mind instant love, especially if it’s PNR. Like you, I prefer the building of the relationship.